When summer comes in Bali everyone gears up for the exciting summer festivals that take place – and there are a few. Among them of course, is Potato Head Beach Club’s and Ismaya Live’s ultimate fusion of Sunny Side Up Tropical Festival. Every year, the festival brings in some of the world’s most sought after artists and we’re sure Sunny Side Up 2018 won’t let us down! 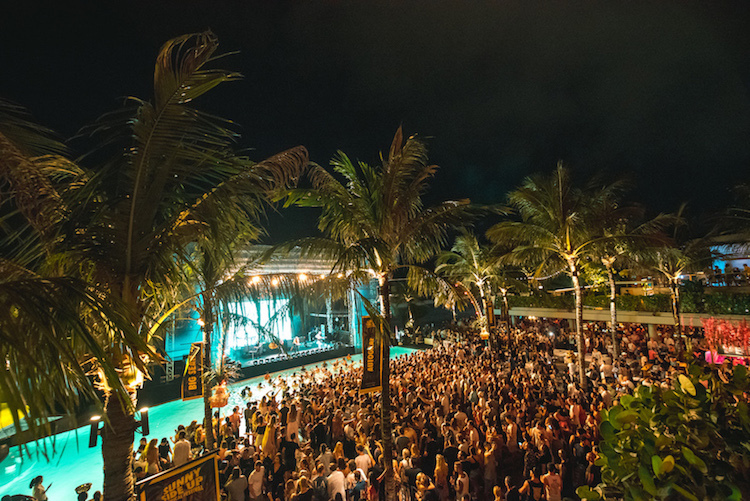 The two-day cultural happening that combines music, art and sustainability will once again be held on the Seminyak beach front, with their epic stage backdropped by the Indian Ocean and foregrounded by the Potato Head infinity pool. Surely that alone should convince you. When is Sunny Side Up 2018? Sunny Side Up 2018 is taking a slight turn this year by splitting their two days into 2 different months. Set 1 took place Saturday, 21 July 2018, and Set 2 will take place Sunday 12 August 2018. This allows for more people to enjoy Sunny Side Up in different months. What’s the line up for Sunny Side Up 2018? 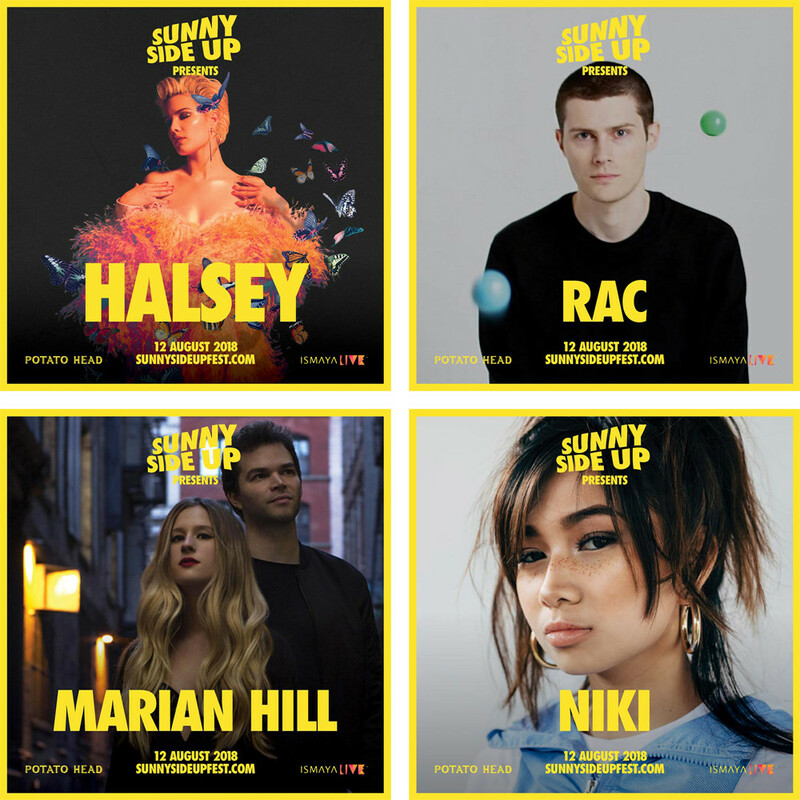 For the 12th of August, Sunny Side Up will feature: Halsey, an award winning American singer/songwriter who, together with the Chainsmokers, was responsible for 2016’s mega hit “Closer”; RAC, initially known as remixers to indie luminaries such as Washed Out, Phoenix, Yeah Yeah Yeahs, and Death Cab for Cutie, before creating their own electro-pop, RAC – short for Remix Artist Collective – is the brainchild of producer/multi-instrumentalist André Allen Anjos; Marian Hill, a duo from Philadelphia consisting of singer Samantha Gongol and producer Jeremy Lloyd; NIKI, also known as Nicole Zefanya is an Indonesian RnB singer/songwriter who gained popularity with her covers and original songs on Youtube. Stay in the loop by following or subscribing to NOW! Bali . We’ll make sure you know!